"It allows somebody to be figuratively to be in somebody else’s shoes." Women of all faiths and backgrounds are banding together to support Muslim women this Ramadan by taking part in the 30-Day Hijab Challenge, an awareness campaign where participants wear a traditional hair-covering headscarf. The challenge, which takes place during the Islamic holy month, is sponsored by the international nonprofit World Hijab Day organization and aims to raise awareness and combat prejudice. While some critics may say non-Muslims wearing a hijab for a month can be interpreted negatively, Ibrahim Hooper, a spokesperson for the Council on American-Islamic Relations, the nation's largest Muslim civil rights and advocacy organization, told "Good Morning America" that, "Generally, it's well-received by the American-Muslim community." "It's seen as an act of solidarity and support by the American-Muslim community. It allows somebody to be figuratively to be in somebody else's shoes for a month to see how they are treated, and how they are treated differently sometimes," Hooper said. "Hijab is one of the main triggers we found for discrimination, and even attack, in recent years." While Hooper acknowledged "there is always some voice who says it's misappropriation or something like that," he believes "that's the minority" viewpoint. Siobhan Welch, 46, from Sheridan, Arkansas, told "GMA" she heard about the challenge on Facebook and thought it sounded like "a really good idea to bring awareness to head-covering, and I thought I'd join in." 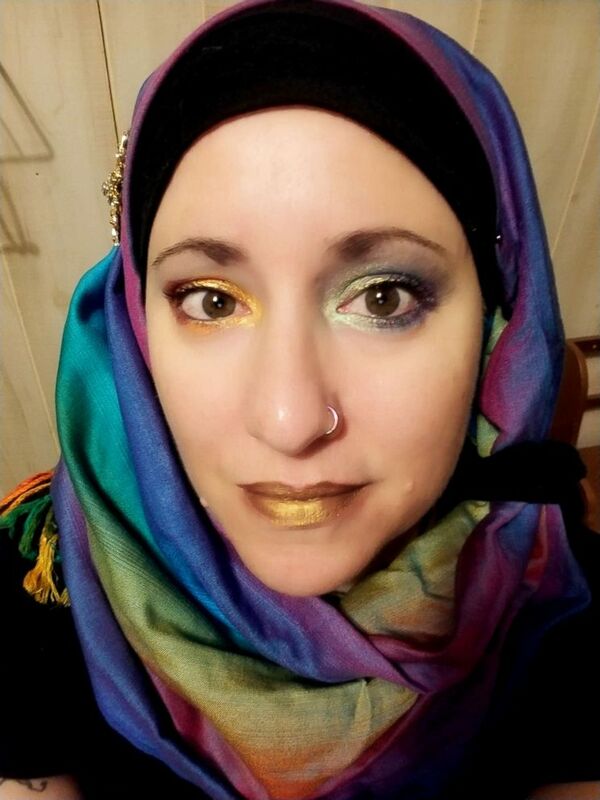 (Courtesy Siobhan Welch ) Siobhan Welch a factory worker from Sheridan, Ark., took part in the 30-Day Hijab challenge this year. "I think, especially since I live in Arkansas, and I live in what's called the Bible Belt, there's a lot of opportunity here to really educate people," she said, adding that the response she's received from her community has been overwhelmingly "positive." "A lot of my friends said on Facebook, 'You know you need to be careful, you’re going to be in danger,'" she said. "Really, I've never had anything more than strange looks." "It's been surprising how nice people have been," she said. "And I get so many compliments on my scarves just in general." The challenge has been a "great experience." "It's a really good opportunity for people to open their minds and their hearts, and know that nobody with a scarf on their head is going to hurt anybody," she said. "We’re not here to be a danger. We're here to be modest." 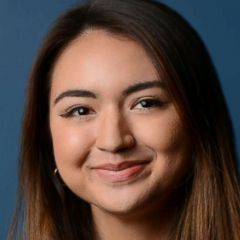 Pamela Zafred, 19, from Goiânia, Brazil, told "GMA" she was raised Catholic, though she currently doesn't follow any religion, and heard about the challenge on social media. She immediately wanted to take part. (Courtesy Pamela Zafred ) Zafred, a 19-year-old from Brazil, took part in the 30-Day Hijab challenge this year. "In my society, the hijab is mostly socially rejected, even though people accept Catholic nuns covering their heads due to their faith," Zafred said. "I decided to join the 30-day Hijab Challenge because I empathize with those sisters who choose to wear the hijab." "Even though I am not Muslim," she added, "I can see that there is still a lot of prejudice and misconception regarding the hijab. I saw this challenge as a way to bring awareness about this topic to the Brazilian society at large." Zafred said the reaction from her community has been mixed "but unfortunately, mostly negative." She said she thinks this is because the hijab is still seen "'symbol of oppression' or 'terrorism' because wrong ideas spread by media or people without knowledge." "Walking on the street, malls, I always see and feel people looking at me with bad looks, like if they were afraid," she said. "One day I went to the gym and I could hear incessant jokes about me." Experiencing that first-hand harassment was eye-opening for Zafred, she said, "because we can see the amount of prejudice the sister who wear the hijab has to deal with daily." 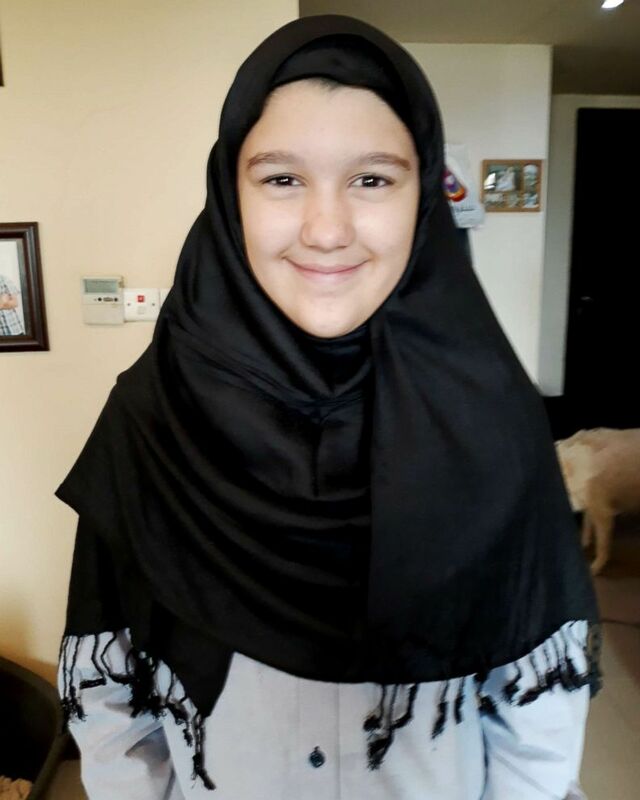 "We need to end these intolerance and misconceptions by spreading knowledge about the topic, and the Hijab Challenge gave me that opportunity," she added. 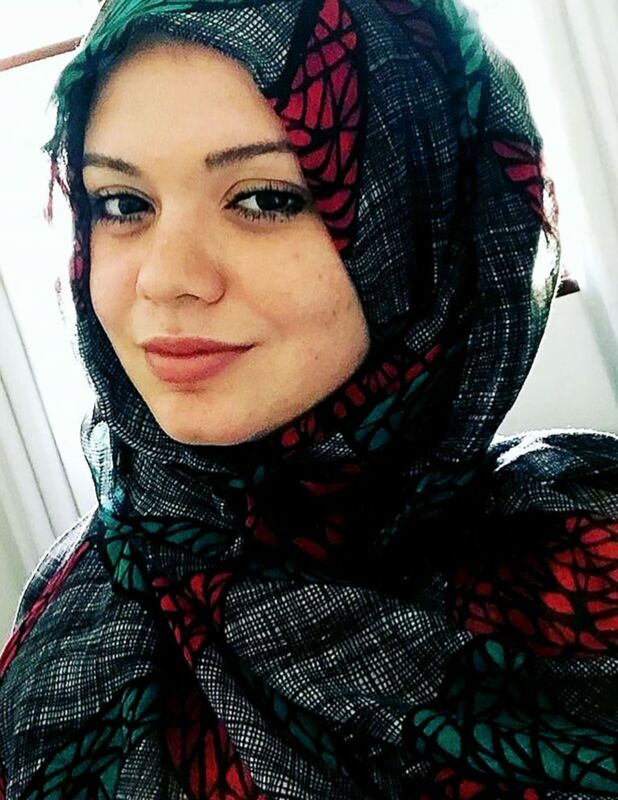 Zafred said that she received feedback from people "saying we are supporting oppression," but added she believes this is just further "proof of ignorance we still have towards the hijab." (Courtesy Ellie Lloyd ) Grace Lloyd, 11, took part in the 30-Day Hijab challenge this year. 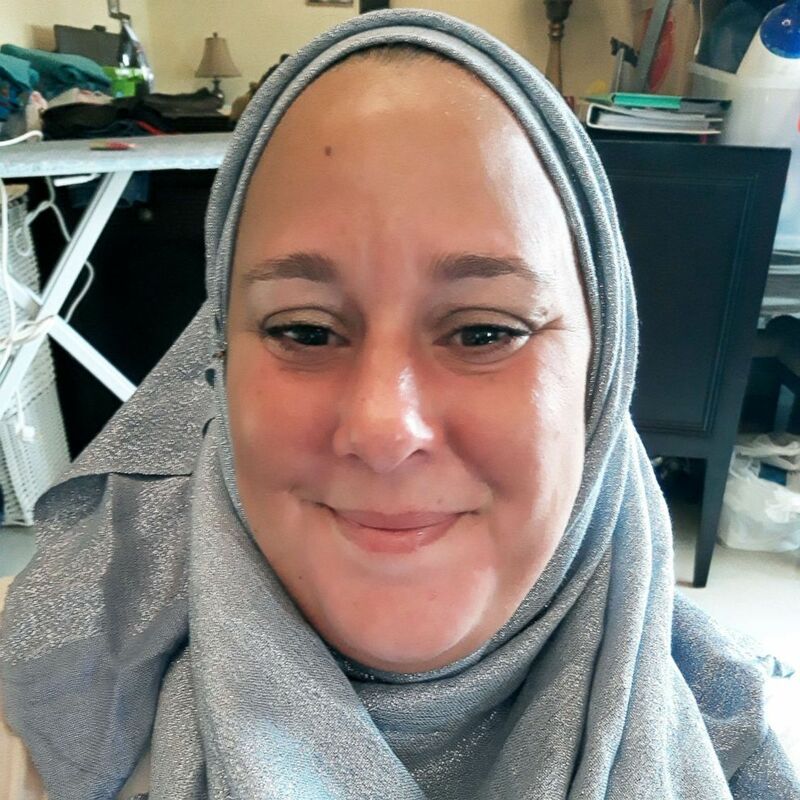 Ellie Lloyd, executive director of the World Hijab Day organization, is Christian and originally from the U.K. She currently lives in Qatar, and even though she's the executive director of the organization sponsoring the challenge, she said it was a "difficult decision" to take part. "It was such a big commitment, for 30 days, I had to completely change how I look, how I dress, and everything," she told "GMA." "I wasn't sure if I could emotionally take the questions that I would inevitably receive." Ultimately, however, Lloyd said she "joined the organization because of the fact that I wanted to stand up for a woman's right to be able to wear a hijab without prejudice, without bigotry and without religious hatred." (Courtesy Ellie Lloyd ) Ellie Lloyd took part in the 30-Day Hijab challenge this year. "I wanted to be able to stand up and say ... to my hijabi sisters, 'Look, hey, there is somebody here, I'm on your side, I'm willing to stand next to you and support you, and to support your right to choose to wear the hijab," Lloyd said. Lloyd's 11-year-old daughter, Grace, asked to follow in her mother's footsteps. "I took part because I wanted to raise awareness about the bigotry and religious hatred," Grace said. "Some women suffer every day for just wearing a hijab, and I want to fight Islamophobia in the world." 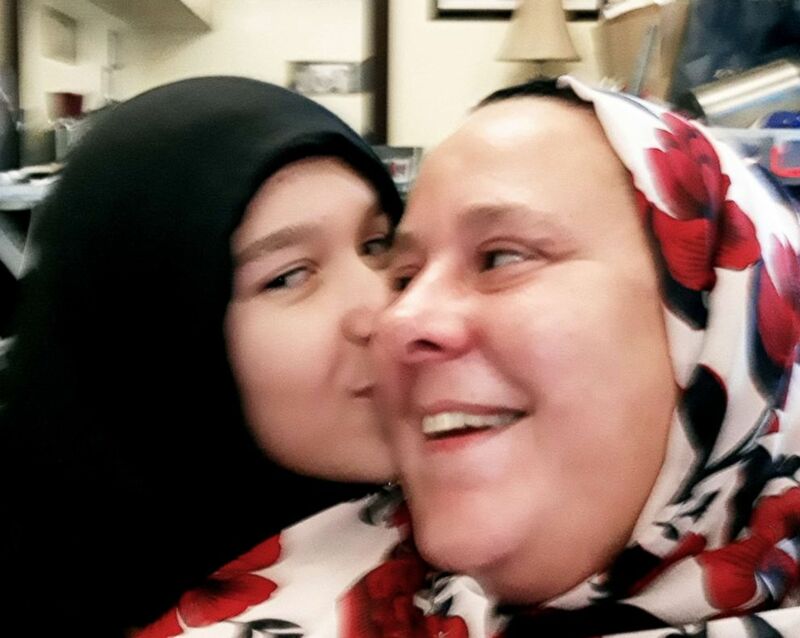 (Courtesy Ellie Lloyd ) Lloyd and her daughter, Grace, both took part in the 30-Day Hijab challenge this year.